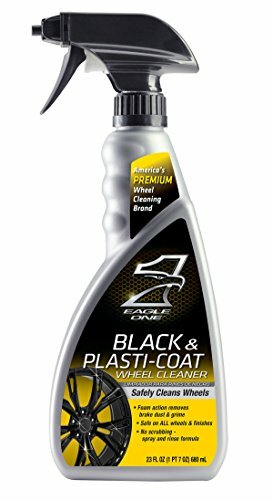 Eagle One Black and Plastic-Coat Wheel Cleaner is the first wheel cleaner specially formulated black and plastic-coated wheel. The proprietary formula turns red in the presence of brake dust to ensure hard-to-see areas get clean. Just apply and rinse for a spot-free finish. Product is safe on all wheels and finishes. If you have any questions about this product by Eagle One, contact us by completing and submitting the form below. If you are looking for a specif part number, please include it with your message.